Contact us at publish@gmu.edu to schedule a workshop for your department, course, organization, or center. 2:00 pm – 3:30 pm, Fenwick Library, Room 1009. Open Educational Resources (OERs) include materials for teaching, learning, and research that may be freely used and repurposed by others, because they reside in the public domain or have been released under an intellectual property license (such as Creative Commons) that permits their use and reuse. The high costs of textbooks have led universities including Mason to advance OER adoption to reduce the cost of instruction for students, improve teaching and learning outcomes, and enable better opportunities for students through open access to quality educational resources. Mason 4-VA, in collaboration with Mason Publishing in the University Libraries and the Office of Digital Learning in the Stearns Center for Teaching and Learning, has announced a call for proposals to encourage the use of OERs in innovative course redesign. Competitive grants will be awarded ranging from $1000-$5000, depending on the nature of the work and the level of team collaboration. Larger amounts will be considered for projects that develop original materials. Courses targeted for the pilot include those with high enrollment numbers, are required courses for majors, count in the Mason Core, or carry high textbook costs. As part of this pilot project, Mason Publishing is assisting instructors in developing open textbooks and other open access materials. 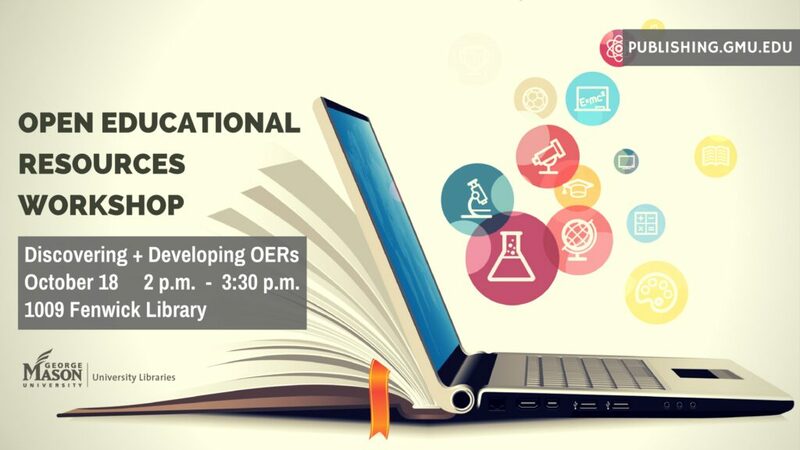 Attendees will learn from teams who have successfully incorporated OERs in online and face-to-face classrooms. Participants will also learn about opportunities to develop textbooks and other materials with Mason Publishing, and how to identify and quality open textbooks as a replacement to higher cost textbooks.